The new show starts on Feb 14th. Tickets on sale now. 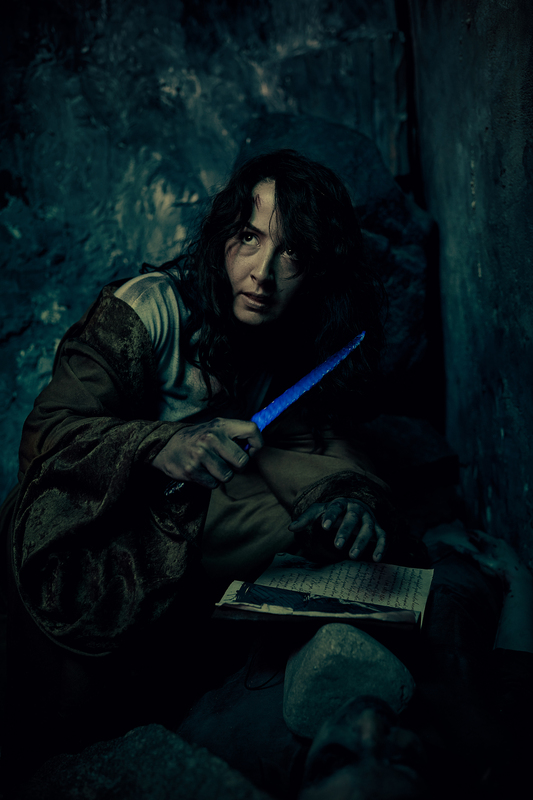 The stunning world of Delusion: The Blue Blade returns this spring with a Director’s Cut following its massive success. If you follow our blog or podcast, you know very well how we feel about Delusion and their unique brand of interactive plays. 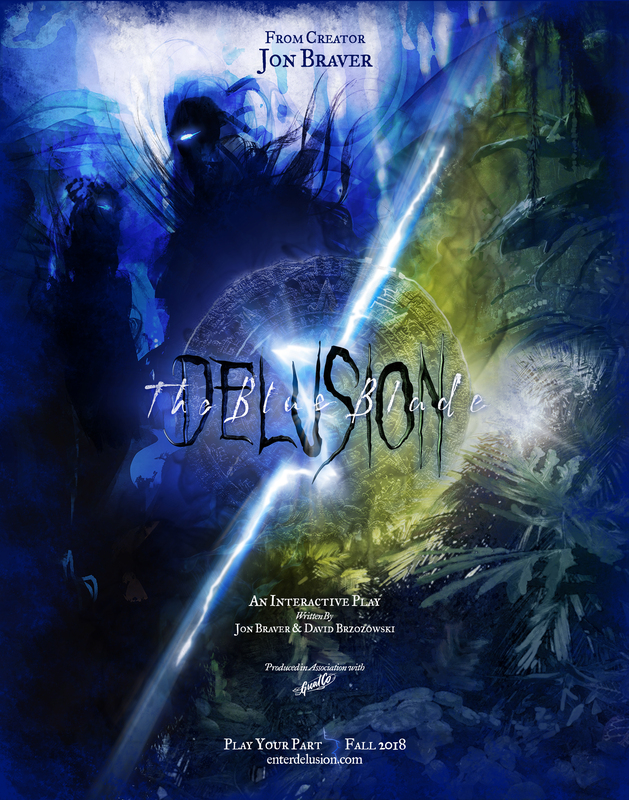 With incredibly unique characters and innovative storytelling; Delusion stands above the rest in terms of quality, substance and pure enjoyment. We find it incredibly difficult to find the words to perfectly summarize Delusion as well as summarize our feelings towards it. These interactive plays are like nothing you’ve experienced and will leave you with your jaw on the floor. If you haven’t had the chance to experience Delusion, you need to make it a top priority this Spring. Will you join the Safeguard Society to help locate The Blue Blade? Only time will tell! Below is all the information regarding the return of The Blue Blade. Coming off one of the most successful runs of its shows ever, Delusion, the vanguard of interactive theater, has announced that the spring 2019 extension of its new, original play Delusion: The Blue Blade, will be a “Director’s Cut” and will bring with it a number of exciting changes that are sure to captivate current fans of the Delusion Universe and newcomers alike. Highlights of the spring show include new plot twists, new audience challenges, new artifacts, new actors, and more. To tease the new show, Delusion has also released a brand new trailer. Individual and group tickets are now available at www.enterdelusion.com. From visionary creator Jon Braver and The Great Company comes Delusion: The Blue Blade, an Indiana Jones meets Blade Runner-style adventure that invites guests in groups of eight to a world left erratic since the disappearance of the rare artifact, The Blue Blade. Once held by The Safeguard Society, an elite group of historians, the sacred blade was stolen by Professor Evelyn Lowell… one of their own. The fate of time and space hang in the balance as Evelyn and the blade slip further away. As a sign of desperation, The Safeguard Society looks to you and your friends — their most promising initiates — to track down Evelyn and The Blue Blade. Rumored to be underground and protected by a strange cult, Evelyn’s disappearance had created more questions than answers. Now it’s time to play your part (#playyourpart) in the most transformative theatrical production of its kind. Heralded by NPR as the “hottest ticket in town”, Delusion has captivated sold-out audiences since its first play opened in 2011, transforming them into characters inside a living, breathing, dark world of epic interactive storytelling. Delusion: The Blue Blade marks the first show for which there will be corporate pricing, group discounts, and a VIP package that includes a behind-the-scenes tour. There is now also a Wait List for fans who want to show up on a given night and fill in for no-shows. All fo these additions bring the production to an even broader audience, including those who have never experienced Delusion or interactive theater before. Tickets start at $95. Past seasons have sold out quickly, so we are urging guests to book tickets while they are still available. ABOUT DELUSION: In a new era of storytelling, Delusion (#playyourpart) remains one of the most popular interactive events with an absolute commitment to quality and originality. Delusion began in 2011 as a passion project for creator Jon Braver and for six seasons has captivated sold-out audiences, thrusting them into an otherworldly adventure where they must play their parts in order to move the story forward. Live actors, creature effects, stunts, elaborate set design, and an original score weave together a tale unlike any other. And now, with its new partners at Skybound Entertainment and The Great Company in Los Angeles, the Delusion Universe of stories has expanded into other mediums; the first being a cinematic VR adaptation of the 2014 playDelusion: Lies Within, which was co-created by Witty Acronym and launched in December 2018 on Samsung VR. ABOUT GREATCO: The Great Company (GreatCo) is a Los Angeles-based experiential studio that collaborates with IP rights holders, global brands, and cultural institutions to produce interactive installations and immersive experiences that connect audiences in meaningful ways and transform the perception of time and reality. GreatCo’s work includes collaborations with Marvel Studios, PepsiCo, and The Smithsonian Institution. ABOUT JON BRAVER: A film and theatre director, action coordinator, and Disney Imagineering consultant, Jon Braver’s extensive career has run an exciting path. His love for the fantastical and experience working with some of the top directors in the business has helped to shape his unusual range of talent and keen ability to deliver a unique vision. He began work on his Delusion Universe in 2010 and continues to shepherd the property as it expands to new audiences and formats.